come with a metalbeard and a micro manager. 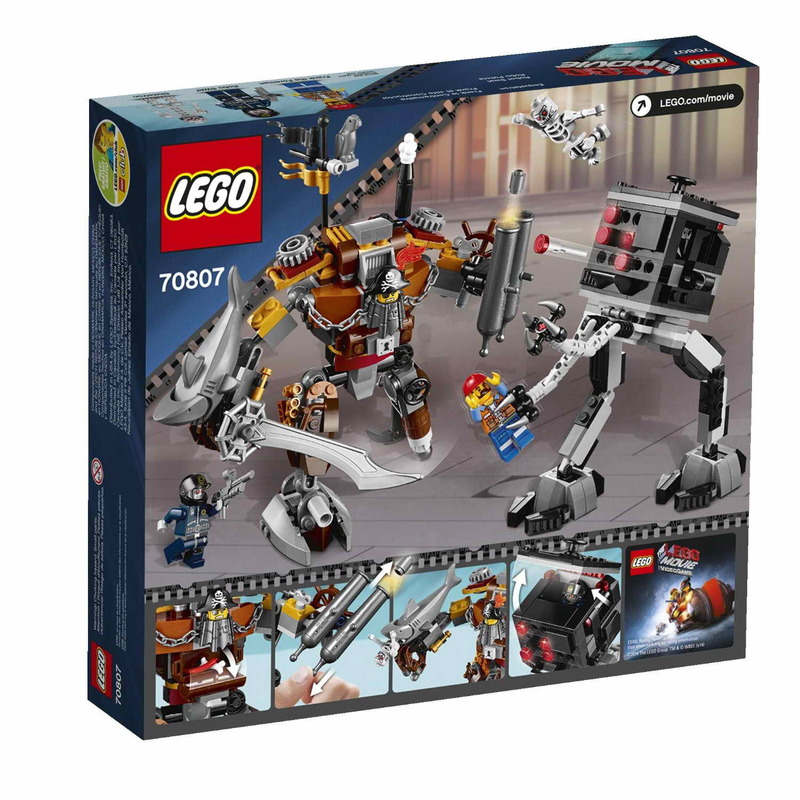 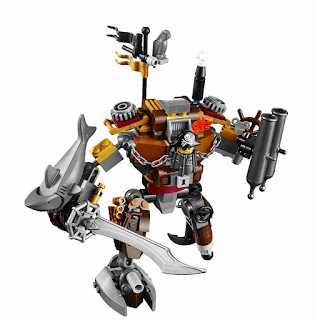 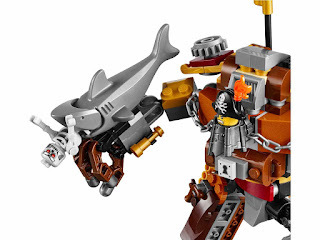 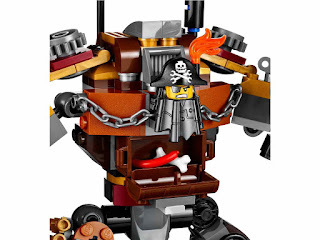 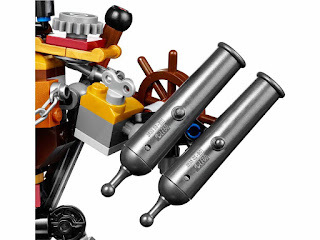 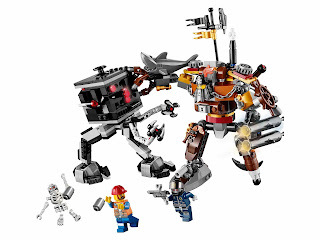 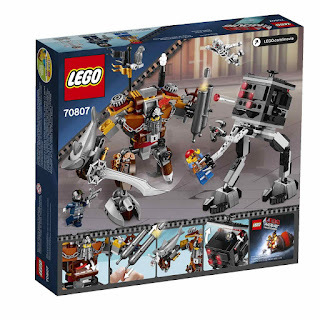 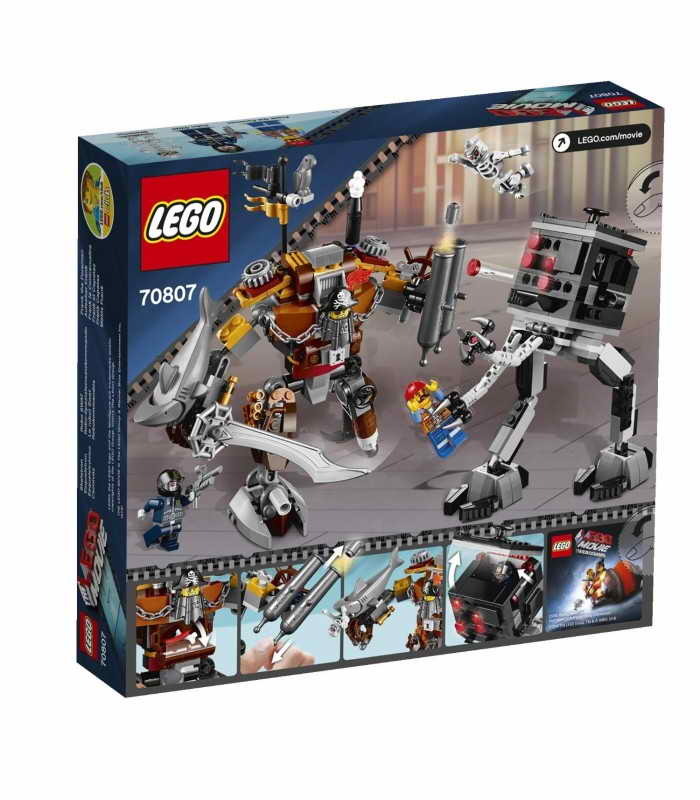 the metalbeard has arm cannons, a pirate sword, a holster, a shark arm, turnable waist and hips and poseable arms and legs. 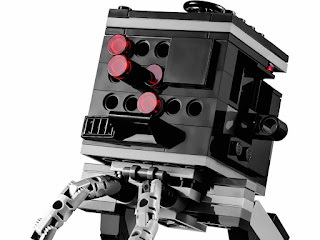 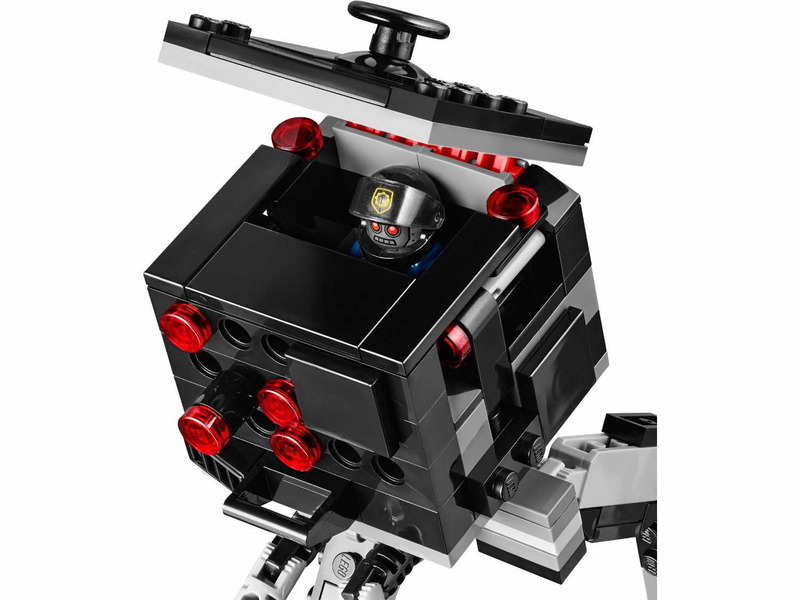 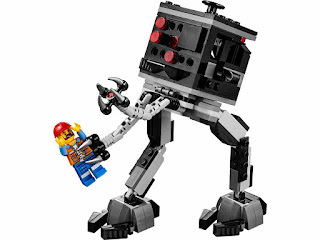 the micro manager has an openable hatch, poseable legs, big feet and claws. 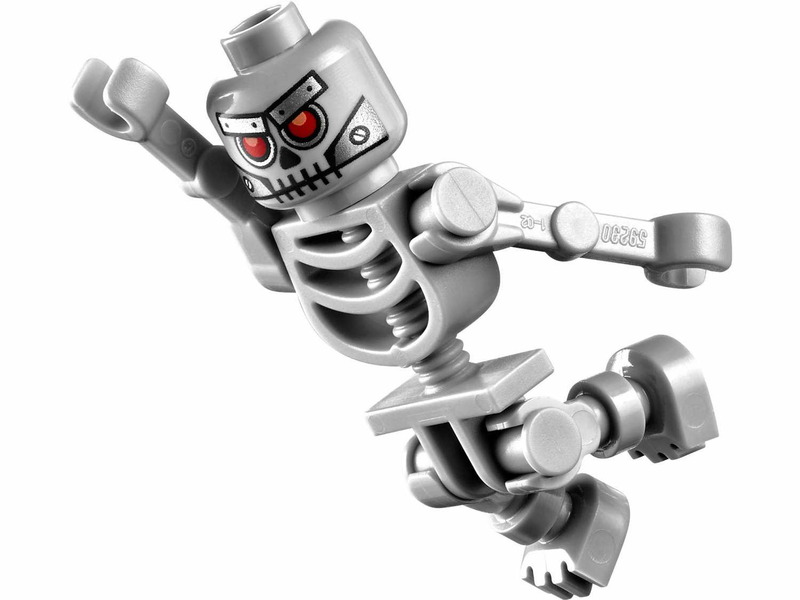 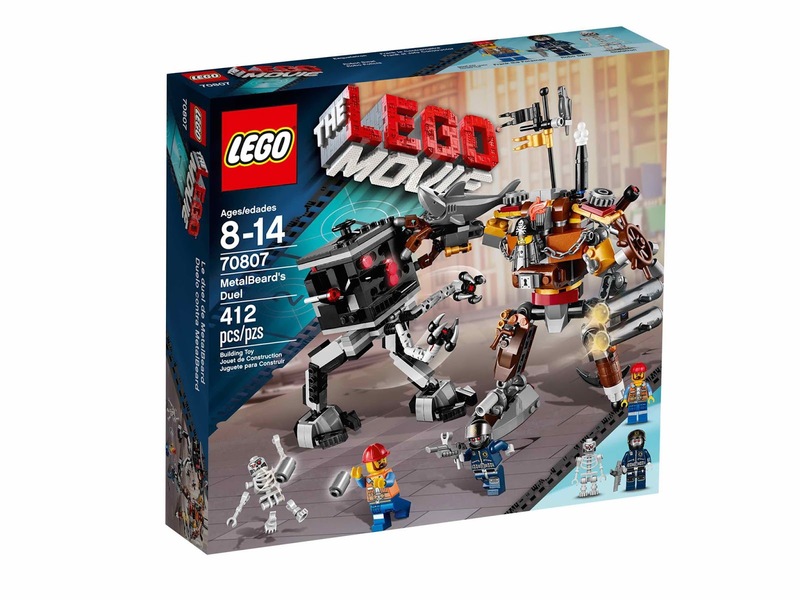 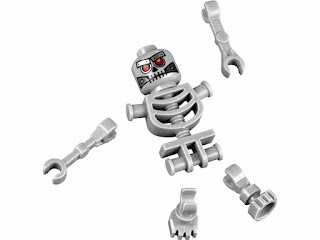 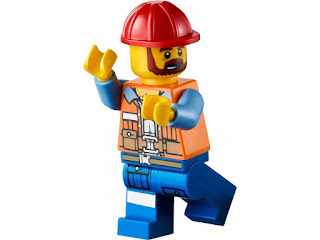 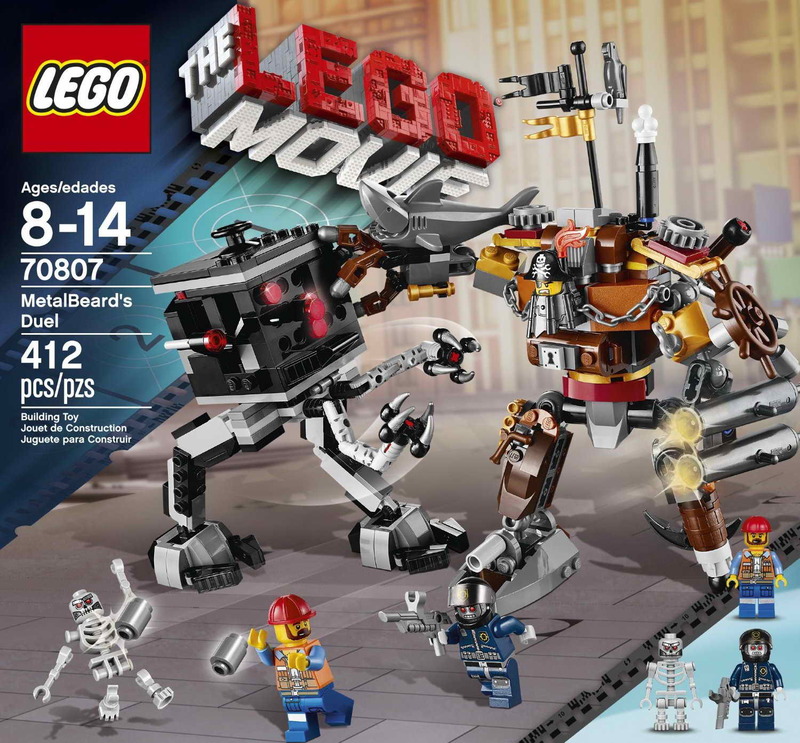 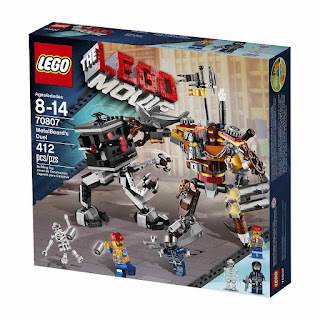 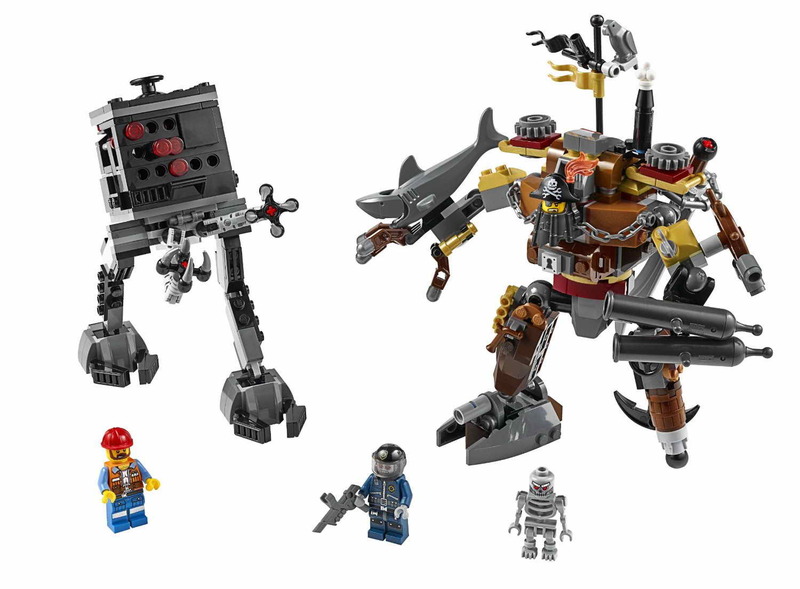 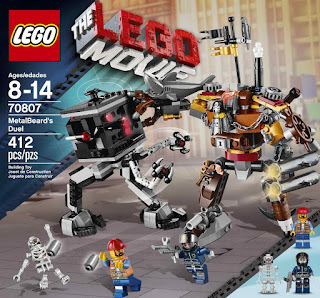 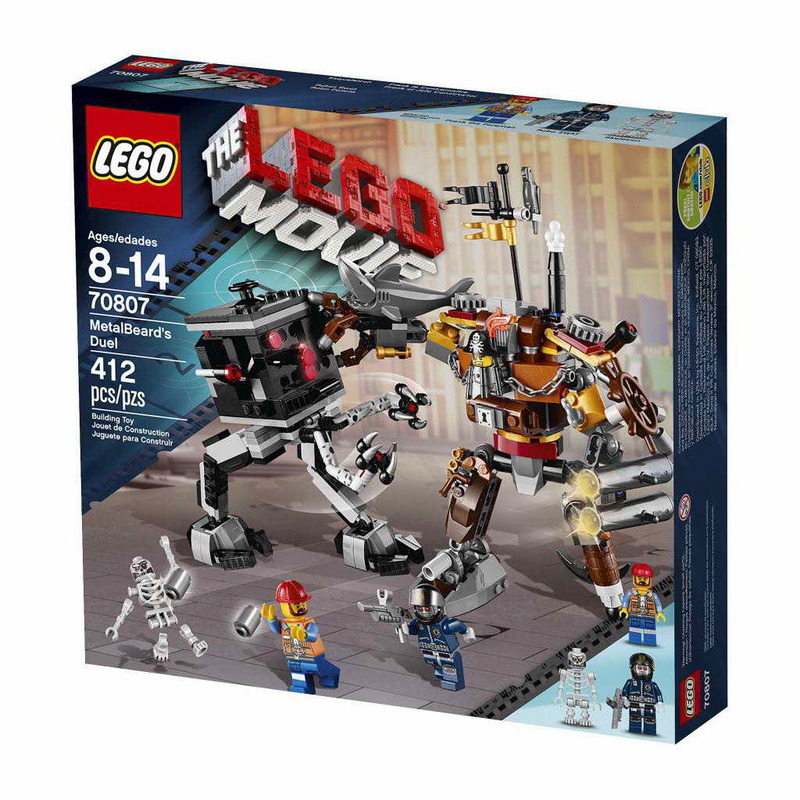 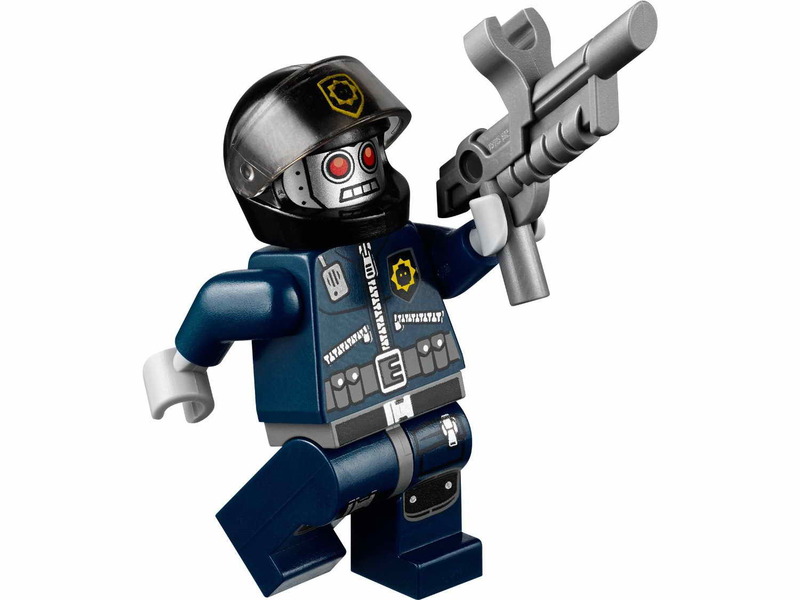 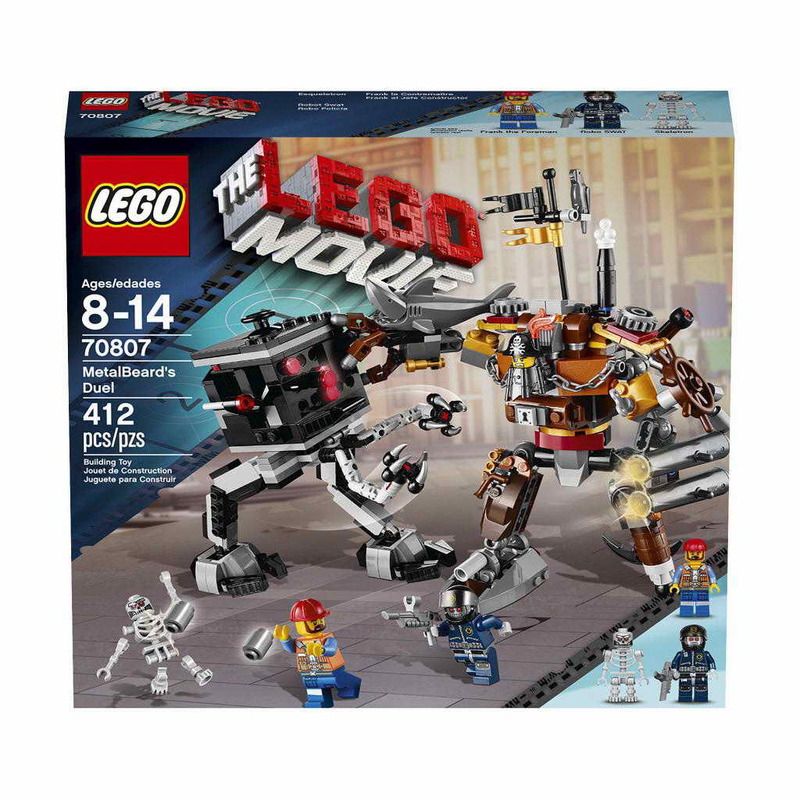 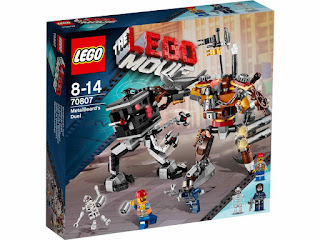 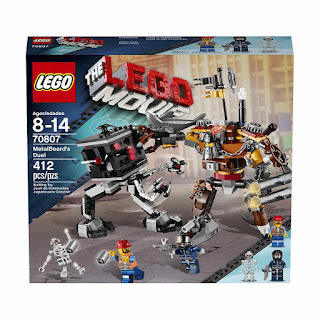 minifigs included a skeletron minifig, a robo swat minifig and a frank the foreman minifig.